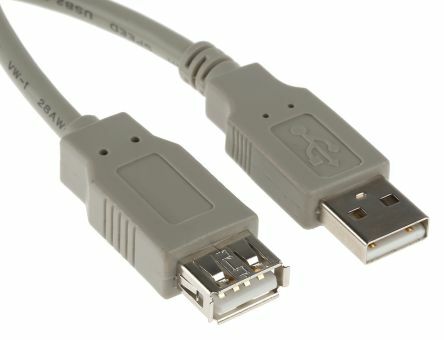 Eventually I'll buy the XIm Apex and I want to know whether the male to female USB cable can do the same work for me. i mean i'll have two male to female USB cables one for each console, and the apex dongle will be connected to them. i saw some people complaining about a dead Xim apex that they bought from Flashback store. is it safe to buy now from them or i should need to wait for you, to check it with them? I bought PS4 not long ago, and recently I noticed a certain problem that I'm not sure what the cause is. When i'm trying to write somthing on the PS4 OS, the writing window closed automatically every time, in a way that seems like the button is on long press. and when i'm on game (Uncharted the lost legacy if you want to know) the player there just shooting by himself. I think that what causes the problem to start happening, is when I use the controller while connected to XIM4. (In the game i mentioned you must use it to crack locks, because it requires more sensibility in the left stick). And fixing the problem in a temporarily way, is to disconnect everything from the XIM4 device and reconnect again. that problem didn't happen to me on XBOX One S ! So i want to know if that issue is known or not. and what is the cause for sure? I don't know why you don't add this game for the XIM4 list. I saw in some topics here that you had some problems with the original games for the PS3 console. but from my experience there are no problems at all on the Collection version for the PS4. So why you don't add it? Another Q i have is why you're not opening a Category "Only" for people to share there settings with others. it will help everybody to set there games right from the beginning. People often get confused with the settings or compromise on a non-specific setting state that reduce the quality of the experience. and that because they do not have the knowledge or patience to seek the best setting for them. I don't know about mouses nothing, and certainly not in Xim apex. And when i saw one of your video tutorials, i saw him with the logitech g502. and users here also recommend it. but the problem is that i prefer wireless mic. so i found the g602, but when i searched for a comparison, the G502 seemed to be better In performance. So my Q for those how to understand the requirements of XIM apex. if the G602 meets the requirements of the maximum capability of XIM Apex, or not. and I must buy the G502. That game is different than other Gears of war games. And the one that set his setting on the XIM4, set it to be like the other gears of war. For example in all gears of war (1,2,3,4) the keys UP,DOWN etc. are changing the weapons. but on judgment it's one key that changing them, and the UP,DOWN etc are for other things like "view current objective". and on the settings of judgment in xim4, the keys UP,DOWN etc still listed as the ones who changing the weapons. and one problem that it is causing, it's that you can't change the "current objective" key, to any other than "Down" key. and if you'll change it, it will not responed at all. I did not purchase directly from you because there are no shipments to my country, so I bought the product from Ebay. And when i did all your instructions to use the product, i have encountered with a problem. the problem was a missing cable of micro-usb (i got one with the product but you need two for using the product) so maybe the person I bought from, took one. 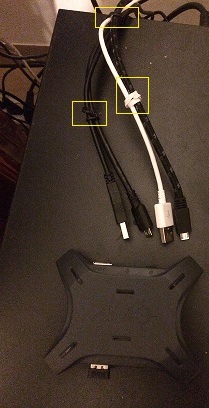 But if not, why you're not giving two cables if it's necessary?